Opps! You forgot to select a color. Mammoth exra large oblong was designed for the lazy lounger. 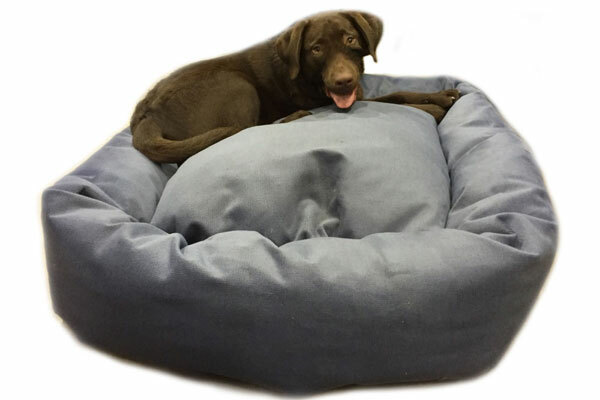 Made to accommodate any extra large breed, Mammoth dog beds are the worlds leading dog bed. Composed of a removable gigantic inner pillow for travel, and a cozy ring for support. The covers remove easily with a trouble free Velcro seal, located on both the pillow and outer ring. Mammoth beds are durable and mold to your dog’s body. Our specially engineered filling is made from a non-clumping, hypo- allergenic, high memory virgin industrial fiber fill, which offers orthopedic and long-lasting qualities. The entire bed is completely washable and the high memory upholstery fiber fill bounces back after every use. Choose from a wide selection of upholstery grade fabrics from industrial strength canvas/denims, soft micorvelvets and designer upholstery fabrics. The upholstery grade material is made to withstand the daily wear and tear of your dog, and looks better with every wash. Only the highest quality thread is used to create a professional double serge for added strength. Don’t settle for less. When it comes to superior quality, no other bed compares. Easy maintenance with removable covers on the pillow and bolster. Excellent sheen and durability. Dog bed furniture at it’s best. Get it today from Mammoth outlet. 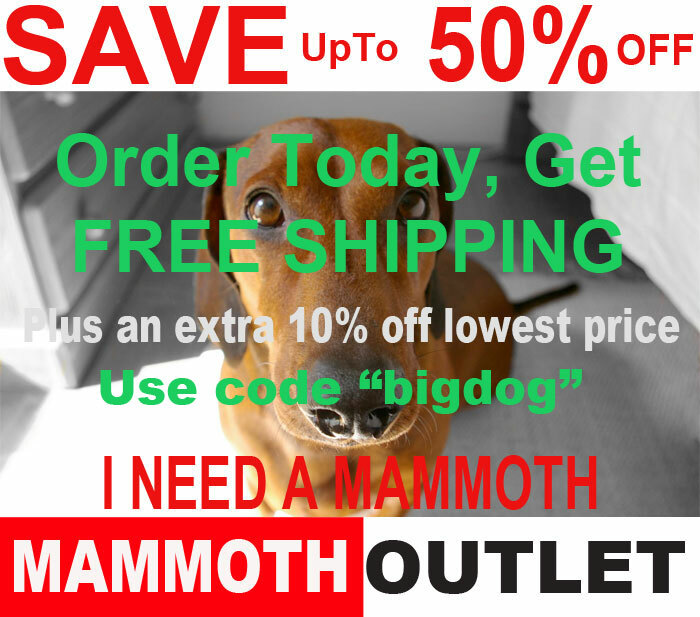 Mammoth dog bed- the only choice for quality dog beds at a great price. We guarantee you will want a second. Eg. 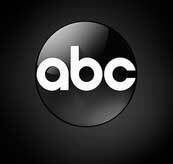 Great Dane, Bernese Mountain dog, 2 large dogs, Heavier large breeds. This has been the best experience in buying a dog bed for me. It was easy to order and came in a few days. The customer service went out of their way to assist me as I can be a bit of a pain. I am so happy that Frank is comfortable and it seems like he always has a smile on his face lol. He seems happier, he now has a place of his own. Quality..I have never seen such great fabric and thick too. Think this will last the life of Frank. Thank You so Much. Less than 10 minutes after our Mammoth Bed was delivered, Mustafa was trying it out. Mus loves it and so do we. Keeps him off of our hard wood floors and keeps him comfy. Mus weighs in right at 200 lbs and so far all other beds are squished flat within the first week. If this one works out well we may upgrade him to the 72" xxl orthopedic in the future as Mammoth is the only bed he can use. The fact that we have had this bed for 3 years truly says it all. We purchased the xlarge bed and not only did our Mastiff have plenty of room but our 2 large dogs were able to sleep on it together as well. I was hesitant to spend this kind of money on a dog bed because well, we had tried several different brands and none of them held up for too long before needing to be replaced. Which is really the exact reason why we bought it. I figured by the time we replaced the bed 3 - 4 times a year we were spending he same amount of money. I run an in home boarding company for dog so this bed sees a lot of action. I have even laid down on the bed with pups that needed a little extra comforting and found myself waking up 20 minutes later feeling as refreshed as if I had napped in my own bed. After 3 years of high traffic even I still find it comfortable. The only reason that I sit here writing this review is because I am looking at buying a second bed. Not only has this bed kept it's firmness it has been almost indestructible. After a couple of years of having the bed a pup was able to find the seam and chew a small whole in it. The truth is, I couldn't be happier! Thank you so much for making the great and amazing dog beds that you do!! Five minutes after I opened the package my almost two year old Great Pyrenees, Franklin was already asleep in his new bed! He quickly fell in love with it, which if you know Great Pyrenees they know how to sleep so it’s a big deal. I greatly appreciated the find your bed based on breed feature on your website because I’ve been hunting for the perfect bed for months and now I have! It fits my 110lbs puppy perfect, seem very durable and truly is comfy for him. Thank you very much and keep doing the thing you’re doing. 3yrs in and 5 Great Dane's now. These 2 beds are the best things ever. They still look brand new and are in perfect shape. Again, Mammoth thank you for such a wonderful product. I've never done a review before- on anything. Just wanted to say I ordered my 2nd bed. An oblong orthopedic bed, extra large. I have two big girls. An airedale who weighs 83lbs and an Old English Sheep Dog at 75lbs. I bought one bed from you for my Airedale. But now Molly wants to sleep on that one and not the costco bed I bought her. Soo instead of spending 40 bucks on the costco bed I'm having to replace every so often it makes sense to get another mammoth bed for Molly. Sooo now I'll have two extra large Mammoth beds in my bedroom- It'll keep the girls from waiting to share the bed or jumping on my bed- they can now have their own. I should've done it a lot sooner...but better late than never. My 1 year old Great Pyrenees loves to lay on my bed and couch but I’m training him to stay off the furniture because his hair gets everywhere. This bed has made the training easy to do. Zeus loves it and he doesn’t sink in when he lays down on it. He is fully grown and the bed is big enough to where he can stretch out if he wants. Super supportive, big, and good quality. Zeus and I say thanks! Best bed I have ever owned, now 6 years strong and worth every cent. Don't even hesitate. 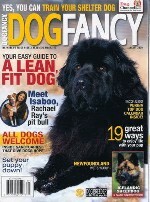 Jackie from online chat was super with helping me find the right bed for my 70lb Bernese. Thanks again Jackie for all your help! We recently got a rescue dog, a golden retriever named Luis, he is very mellow and sweet. We bought your extra large mammoth bed in the chevron pattern and he really likes it. He likes it so much that in the three days that he has been using it he has managed to get it fifthly from rolling around in the garden. We will be washing it today. It took no time for my Alaskan Malamutes to figure out what the beds were for (their first beds). I am extremely satisfied with your products. Your customer service reps are very helpful and they seem genuinely interested in helping. I ordered the extra large oblong dog bed in blue microvelvet for our Doberman back in May and he absolutely Loves it! I have washed the outer cover multiple times without issue. Thank you for a great product. I rescued a Great Pyrennes dog that was found abandoned on the streets. Prior to ordering her a new bed, I talked with Jackie from your chat line and asked questions. I wanted her to have a comfortable bed, especially after living a rough life on the streets. She's my first dog and it was so important to me to do everything to make her feel safe and secure and that she no longer has to fight for survival on the streets anymore. It's her turn to be spoiled, she deserved to be pampered after a rough life living as a homeless dog. 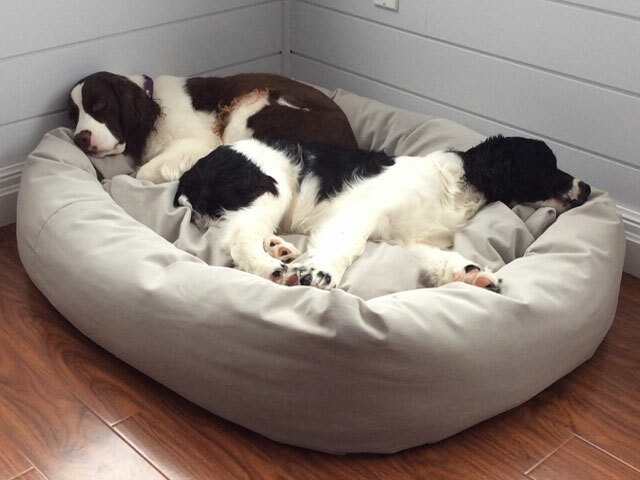 I previously ordered 2 extra large dog beds several years ago, and we love them! Time to order another! Fantastic! The canvas is still in excellent shape after 4 years of use and abuse. Just placed another order for our little guy too. We have Alaskan Malamutes which are over 100 pounds each. Our male absolutely loves the bed. We have a Mammoth extra large bed from about 10 years ago. It’s still in great shape. Our Mastiff who had used this dog bed is no longer with us. I have recently bought a large Mammoth dog bed for our new puppy, but would still like to use the other bed in another space. Your beds are THE BEST! I recommend them to everyone. You need to get one, won't be disappointed. I thought the price was so cheap compared to the quality I received. I see why they are the best. I will be a repeat customer forever. Thank you for making such a great product for my dog. My dobie is only 7-months old and loves always to be with momma either on the couch or beside her in the bed. But when I bought him the XL Mammoth bed, he actually leaves my side now and stays in his Mammoth bed! Still a wee bit big for him but I seem him using this when he gets a lot bigger. I want a bed like this lol. My 120lb lab just adores it. Hasn't moved so nice we got it. Nice work, I'm a customer for life. We received our 2 Mammoth Extra Large Dog Beds yesterday for our 2 year old Bernese Mountain Dog who fell in love with them immediately! He has taken over the one that is now in our living room and fits perfectly all curled up with his bone toys!!! A great purchase and looks like a favorite for Max. I purchased this bed as a final attempt to find something that would be comfortable for my 155 pound English Mastiff as all other beds just didn't last . She absolutely loves her bed trying to get in it even as I am moving it from the Living Room to the Bedroom for the night! As it turns out, this bed is perfect for a mini-pig too. They root and are very dense so a regular dog bed just doesn't work for her either. She loves the Mammoth bed as much as my dog and frequently takes over the bed! It's time to get the pig her own Mammoth bed! Yup, made for a king. My baby won't get out to eat. So comfy and cozy for my large boy. Washed it and it's like new. My Doby is a working dog and gets dirty often. Way to go Mammoth..Got another customer for life. I think it's obvious just how much Forrest loves his new Mammoth dog bed!! His Mommy and daddy wanted to wait until he was pretty much full grown before ordering his "forever" bed, it's just the right size for this big guy! I think it's safe to say we are all very happy with it! Incredible fabric, Danes like people furniture and this fits the bill! She's a pup now but will grow into it - I will happily lay on this bed with her for some bonding and TV time. Our two year old akita can't get enough of this bed! Not only is this the first bed that he actually can fit on at his size, but its the most comfortable pet bed we have ever purchased!! This bed is well made and extremely soft... we will definitely be ordering from Mammoth again in the future- we have already been reccomending your company to friends and coworkers!! So thankful for this awesome bed!! We received the new XL Mammoth dog bed last week and our German Shepard loves it. She circles around for a moment and then plops down into her "cloud". Seems to be very durable since previous beds have been chewed open within days. 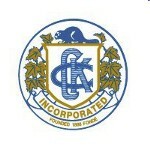 So far I am very impressed with the the quality of this product and with the company. We have had mammoth beds for many years. They last forever and it is so easy to care for them.Our Saints love them. I just replaced one bed and am about to replace the other. My new bed has the velcro on the inside which I think is a much better design. We just recently received the XL mammoth dog bed in blue for our 110 lb Bernese mountain dog and are absolutely thrilled! The size is perfect as the length gives him room to sleep spread out on his back and the quality is great, too! Super plush and sturdy. 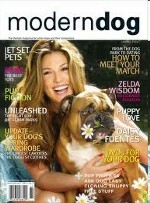 We will definitely be ordering again as it is hard to find a reasonably priced, great quality large breed dog bed! Highly recommend this bed. I have had my extra large oblong bed for over a week now....my 2 labs are absolutely are going nuts for it! They won't get out of it! They won't get up for breakfast! (Who knows Labs who don't want to eat???) I am going to have to get another one because they are practically fighting over it! Great product, I WILL be a repeat customer! Mammoth is the recommended brand by American Veterinarians. AKC and breeders approve our products for our durability, ease of cleanliness, long term usage and comfort. Get FREE UPS shipping to 48 contiguous states.